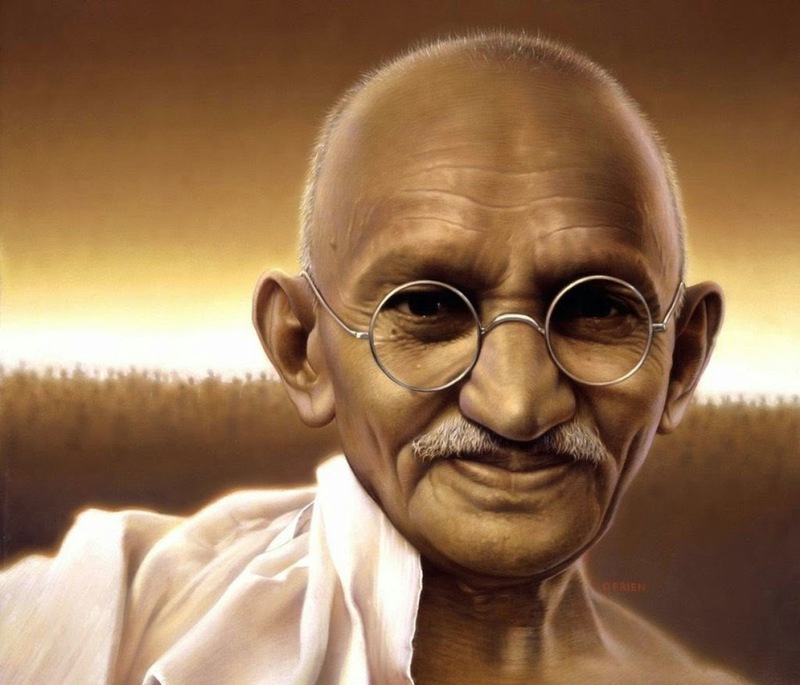 Achieve your Dream, Mahatma Gandhi | Law of Attraction Plus: The Secret revealed! Be firm in your attitudes and persevering in your ideal. But be patient, not pretending that everything comes to you immediately. Make time for everything, and everything that is yours will come to your hands at the right time. Learn to wait the right moment to receive the benefits you claim. Wait patiently for the fruits ripen properly to appreciate its sweetness. Do not be a slave to the past and sad memories. Do not Stir a wound that is healed. Do not recall my old pain and suffering. What happened, happened! From now seeks to build a new life, directed upward and moves forward, never looking back. Do as the sun rises every day, without thinking of the night happened. Only provides for the goal and do not see how difficult it is to reach it. Do not dwell on the bad things you've done, walks on the good you can do. Do not blame yourself for what you did, rather make up your mind to change. Do not try to change others, I know you responsible for your own life and tries to change you. Let me touch you love and do not defend him. Live every day, uses the past for good and let the future come in its time. Do not suffer for what comes, remember that "each day has its own desire." Find someone with whom to share your struggles toward freedom, a person who understands you, supports you and accompany you on it. If your happiness and your life depends on another person, let go of her and love her, without asking anything in return. Learn to look at you with love and respect, think of yourself as something precious. Spreads everywhere the joy that is within you. Let your joy be contagious and live to expel the sadness of all those around you. Joy is a ray of light must remain lit, illuminating all our actions and guide all who come to us. If there is light within you and leave windows open your soul, through the joy, all who pass by the street in darkness will be illuminated by your light. Work is synonymous with nobility. Do not despise the work you do in life touches. The work ennobles those who perform it with enthusiasm and love. There are no menial jobs. Only distinguished by being well or poorly made. Give value to your work, fulfilling it with love and affection and so you value yourself. God created us to fulfill a dream. Let us live for him, trying to achieve. Take life on it and if we realize we can not, then perhaps we need to make a stop on the way and experience a radical change in our lives. Thus, in another aspect, with other possibilities and with the grace of God, we will. Do not give up, thinking that if God gave you life, it is because he knows that you can with it. Success in life is not measured by what you've accomplished, but by the obstacles you faced in the road. You and only you choose how you're going to affect the hearts of others and those choices are what life is all about.